I don’t know about you, but I am having such a blast with this new feature, “You Choose The Shoes“. It’s like having a bunch of friends hang out in my closet helping to chose just the right shoes for an outfit – thank you all! This week’s choices are either Coconut wedges from Marshall’s or Nine West wedges thrifted from Goodwill. 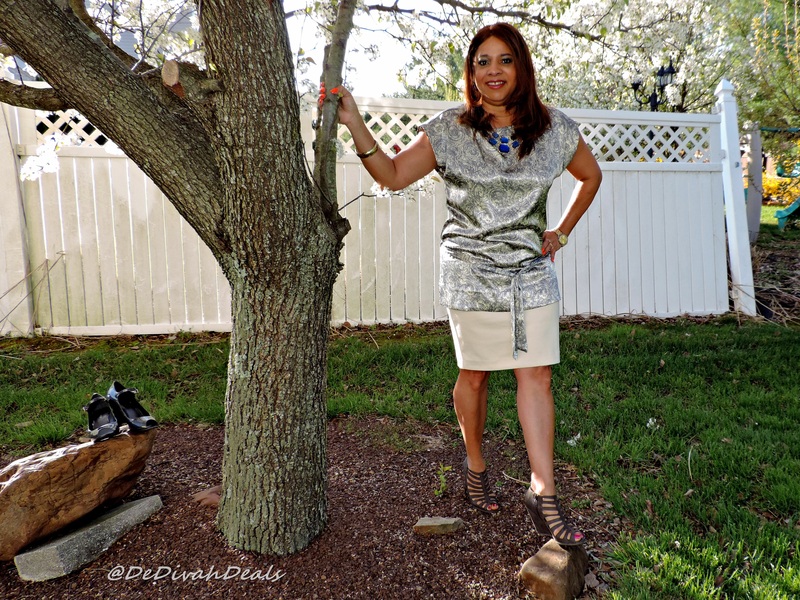 I think these Nine West shoes are a perfect match in their color and patent leather material for this top. What do you think? Necklace and Earrings are from the product review that I did for Majestical Jewelry (click here). 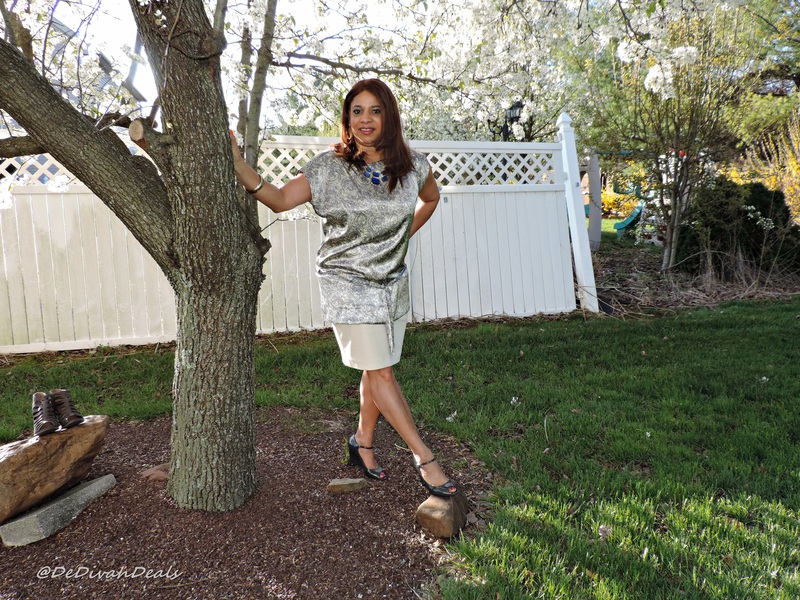 These cutout wedges were purchased several seasons ago from Marshall’s and were quite popular. I remember seeing them posted by several fashion bloggers. Which pair did you choose? Personally, I would prefer neither because the feeling of fresh cut grass between my toes feels much better! 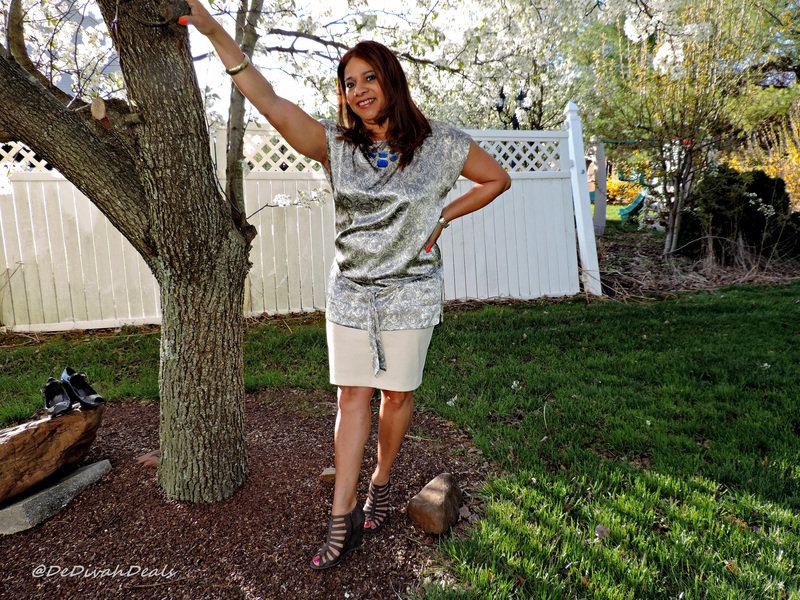 Linking up with some other FABULOUS THRIFTINISTAS – Whitney Nic James, ColorBlind and DC Goodwill Fashionista! Nine West is my pick! I love the patent leather…so classic. Love the outfit, sis. Very cute! Yes, and you may remember them from the Goodwill Runway Show – I had them on that night. I have to go with the cut out wedges because they just look more youthful. And you know I’m all about looking younger. . .LOL!. 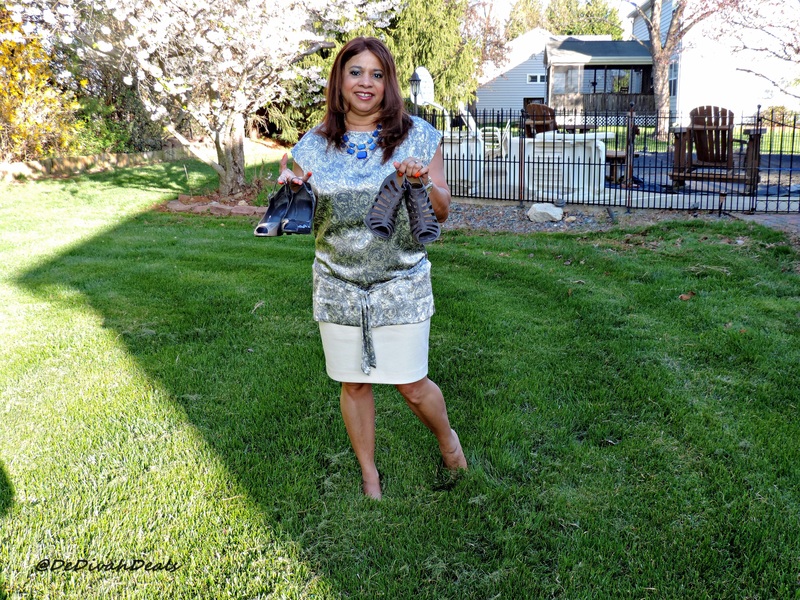 I choose the Nine West beauties! Great choice – thank you! Hope you are having a wonderful Wednesday! I like the cutout wedges 🙂 it is indeed a good series. Thank you, every time I’m sitting in my closet looking for shoes I think of all of you! I’m voting for the coconut wedges. I feel they’re so much sexier! Thank you, it’s going to be interesting to see which pair wins this matchup. I like the coconuts better on their own but the NW’s look better with the outfit. 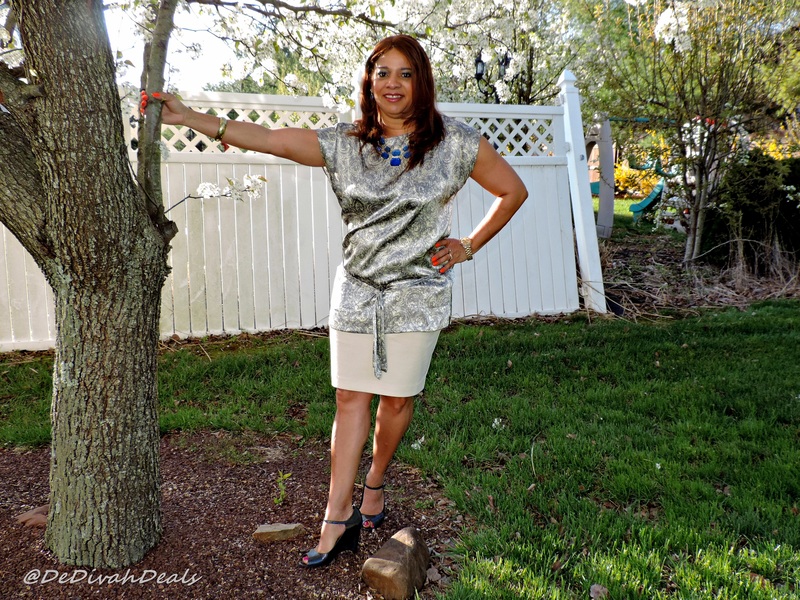 I wish I was able to put together beautiful thrifty outfits like you can! Oh thank you my dear! I hope you are having a wonderful week! Love the cutout wedges. They’re so fab. Love this segment. 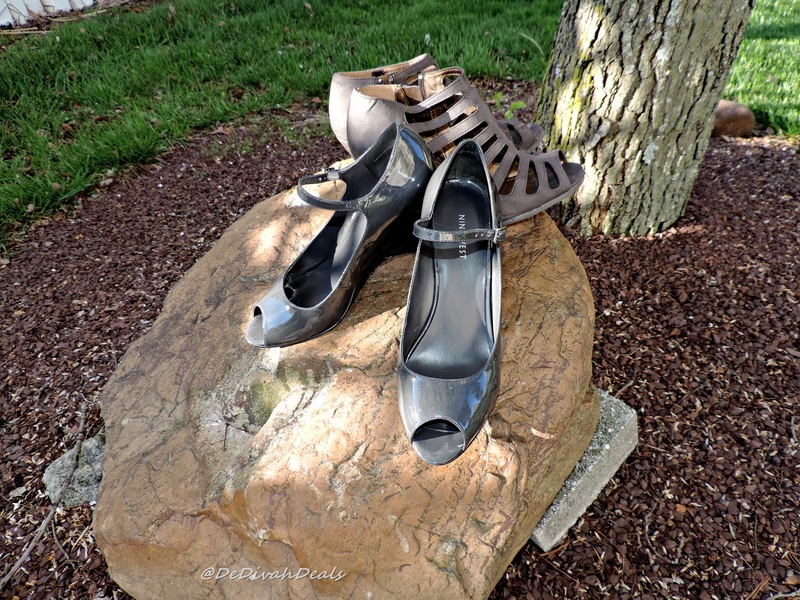 Thank you, it is fun…time to break out the spring and summer heels! I like Nine West but for some reason Nine West always be hurting my feet.